Trump’s not a liar. He’s a madman. Even by President Trump’s standards, this Memorial Day weekend was memorable for the sheer volume of balderdash, bunk, poppycock and patent nonsense flowing from the White House. Balderdash: Trump went after the “failing and corrupt” New York Times for citing a senior White House official “who doesn’t exist” and admonished the newspaper to “use real people, not phony sources.” It turned out the senior official in question had spoken at a White House briefing arranged by Trump’s aides and attended by dozens of reporters. Bunk: Trump attacked “the 13 Angry Democrats” working for Robert S. Mueller III, apparently referring to prior party registration. But Mueller himself is a Republican, appointed by a Republican who was himself appointed by Trump. Haberman is right, but there’s another reason not to label Trump’s untruths “lies”: Calling him a liar lets him off easy. A liar, by definition, knows he’s not telling the truth. Trump’s behavior is worse: With each day it becomes more obvious he can’t distinguish between fact and fantasy. It’s an illness, and it’s spreading. Trump has acknowledged as much himself. 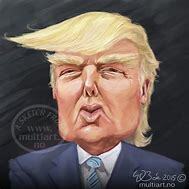 In a 2007 deposition — he was suing author Timothy O’Brien for asserting that Trump’s net worth wasn’t in the billions but in the range of $150 million to $250 million — Trump was asked how he calculates his net worth. Of course, Trump’s “feelings” don’t change his net worth any more than they change the weather. That he thinks they do is his problem — and ours. Writing last week for NBCNews.com, a professor of cognitive neuroscience at University College London, along with a researcher, offered an explanation for Trump’s mendacity. Noting that the daily average number of Trump falsehoods has been rising since he took office (as measured by The Post’s Fact Checker), the professor, Tali Sharot, pointed to the biological process of “emotional adaptation.” People tend to feel uncomfortable when they tell lies, but research has found that the discomfort is reduced each time a person lies — thereby increasing the frequency of lies. You can see this in the repeated failure of congressional Republicans to call out Trump’s untruths, when they obviously know better. And you can see it in administration officials’ determination to support whatever Trump says, no matter how ludicrous. (The White House held a briefing Tuesday to support Trump’s attempt to blame Democrats for immigrant family separation.) Trump may not be able to separate fact from fiction, but those who knowingly back up his falsehoods are liars. Go ahead and say he’s lying, if you think so. To me, his facility with fallacy and his pain-free fibbery aren’t sympto­matic of a liar but of a madman.